Today, more than 2 billion people in the world are overweight or obese, and 800 million are undernourished. With Nestlé for Healthier Kids, we continue to act. Our global initiative launched in May 2018 federates all our efforts to support parents and caregivers on their journey to raise healthier kids. From leading research to product development, from education to innovative nutrition and lifestyle services, our ambition is to help 50 million children lead healthier lives by 2030.
we seek a deeper understanding of the nutritional needs of children, their lifestyle habits and health status. to ensure our brands support a healthier journey, we have made forward-looking commitments to reduce sodium, sugars and saturated fats, and add healthy ingredients such as vegetables, fibre-rich grains and pulses. our brands help families adopt healthier habits through transparent information, simple recipes, cooking and lifestyle tips. Maggi is applying its 'Simply Good' principles to transform its product offer, using only ingredients you know, more vegetables and fiber-rich grains and less salt. 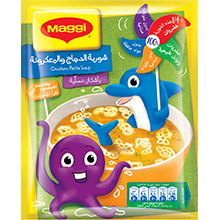 In the Middle East, the brand recently launched a nutritious soup containing natural spices and a high vegetable content. In Europe, Maggi recently launched a risotto-like meal kit based on the goodness of ancient grains, pulses and vegetables for tasty and nutritious family meals. 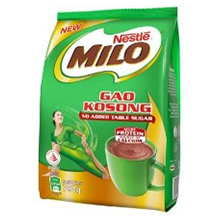 New Milo Gao Kosong, launched in Singapore, provides the right energy to start your day. It contains the goodness of malt and milk without added table sugar or sweeteners. Nido offers tailored nutrition from toddlerhood to school age. 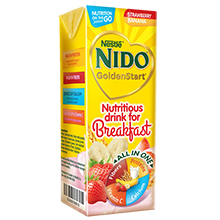 Nido GoldenStart helps when a regular breakfast is not possible, combining the goodness of milk, cereals & fruits. Nido also entered the organic segment with Nature’s Love, a range of organic products designed for the specific need of growing children and produced following the EU organic agriculture requirements. Parents and caregivers need help to raise kids with healthier eating and lifestyle habits. We develop programmes and online services to provide them with nutritional knowledge, healthy recipes and practical tips. Kids involved in the cooking process tend to eat healthier. Cooking makes a difference! Maggi provides cooking classes, online recipes and cooking tips to help families cook tasty and balanced meals that kids will love. In Germany, the Maggi Kochstudio (cooking center) provides the support parents need to cook homemade meals every day. 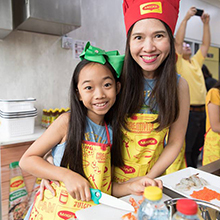 In Thailand, the 'Mum and Me' cooking club helps transmit cooking expertise from mother to kids, so that kids adopt healthy long-term eating habits with more vegetables. 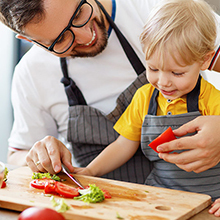 To celebrate International Chefs Day, chefs around the world work together with teachers and parents to share their love for healthy cooking and teach children basic healthy cooking skills. International Chefs Day takes place every year and engages over 10 million chefs in their local communities. Learn more. When kids grow with sports, they not only live a healthier and more active lifestyle, they learn skills and values that help them succeed in life. 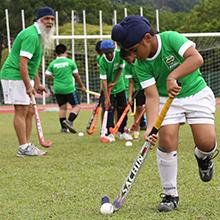 Well-established Milo grassroots sports programmes across the world are helping more than 20 million kids find the sport that the love, and also learn important values like teamwork and leadership.